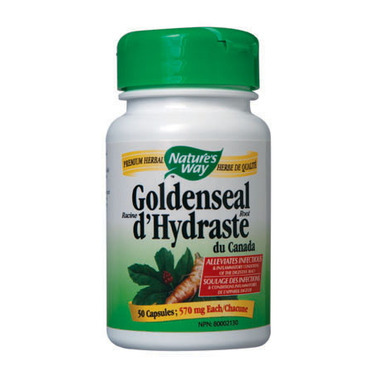 Goldenseal Root is traditionally used to help alleviate infectious and inflammatory conditions of the digestive tract. Directions: Adults take 1 capsule 3 times daily with water at mealtimes. May be used up to 3 months. Warning: Consult a health care practitioner before use if you have high blood pressure, kidney disease, if you are taking sedative drugs and / or barbiturates, or if symptoms persist.